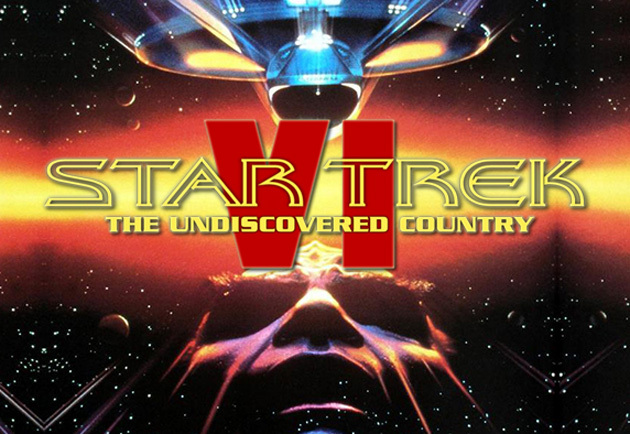 10 Things You Might Not Know About STAR TREK VI: THE UNDISCOVERED COUNTRY | Warped Factor - Words in the Key of Geek. There is an old Vulcan proverb: only Geek Dave could go to China. 1. Considered a critical and commercial failure, the poor performance of Star Trek V: The Final Frontier almost ended the film series entirely, and at the time it almost certainly signaled the end of movies for the original crew as the then Paramount president Ned Tanen decided it was time to move in a new direction. "When I heard about the idea, I thought it was terrific. Not from the point of view of recasting, but from the point of view of storytelling, because I worked so closely with these characters on Star Trek V, that the idea of doing an origin story – where you show them as young cadets and kids – was tremendously exciting. What it was, was a real coming of age story." 2. 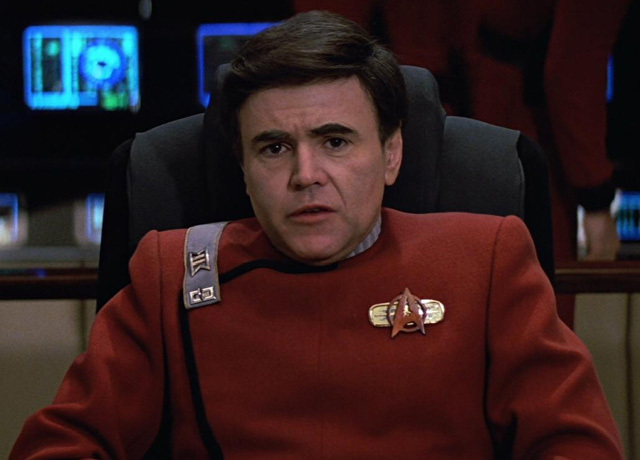 An unlikely candidate stepped forward with a story idea for the sixth and final outing for the original Enterprise crew - Walter Koenig aka Chekov. He prepared a treatment titled Star Trek VI: In Flanders Fields, which would've ended in quite a depressing way. It would've seen the Romulans join the Federation and promptly go to war with the Klingons. All the aging Enterprise crew, except for Spock, had been forced to retire from Starfleet for failing their physical exams. So when Spock and his new crew are captured by a monstrous worm-like race of aliens (which Koenig described would look like "things that the monsters in Aliens evolved from"), Kirk and the old team reassemble one last time to go on a rescue mission. In the end, Koenig planned for everyone except Spock and McCoy to die! Unsurprisingly Paramount felt it was not the movie they were looking for! 3. ~In May 1990 Paramount's new boss, Frank Mancuso, asked Leonard Nimoy to present ideas for a swan song for the original cast. 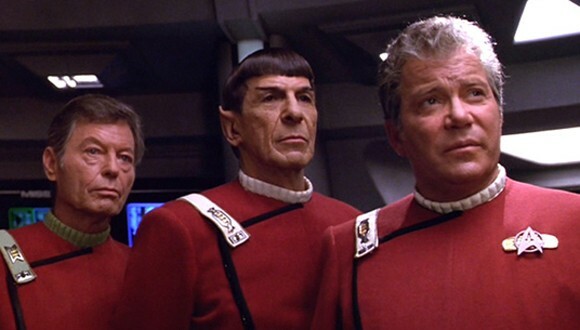 Nimoy, along with Mark Rosenthal and Lawrence Konner, prepared a treatment for a time travel story which would've seen Captain Kirk meeting Captain Jean-Luc Picard. At the time Star Trek: The Next Generation‍ was proving to be a huge hit on television, so much so that the show's producers did not want the characters used on film. Yet. So Nimoy went back to the drawing board. 4. There's a common belief that the even numbered Trek films are the best, as in Wrath of Khan, The Voyage Home, and this one, The Undiscovered Country. As well as being even numbered installments they also have something else in common - Nicholas Meyer. With very little time left to bring this movie to the screen to coincide with the 25th Anniversary of Star Trek, Nimoy and Paramount reached out to Meyer, who had written and directed Star Trek II, and written Star Trek IV, to see what ideas he had for the sixth film. Meyer said he had none whatsoever! He felt as if his work on Trek was over and couldn't contribute anything he'd be happy to put his name on. "[What if] the wall comes down in outer space? You know, the Klingons have always been our stand-ins for the Russians..."
"'Oh, wait a minute! Okay, we start with an intergalactic Chernobyl! Big explosion! We got no more Klingon Empire...!' And I just spilled out the whole story!" He wrote his initial treatment pretty much then and there, and together with Denny Martin Flinn delivered the finished script in October 1990. 5. 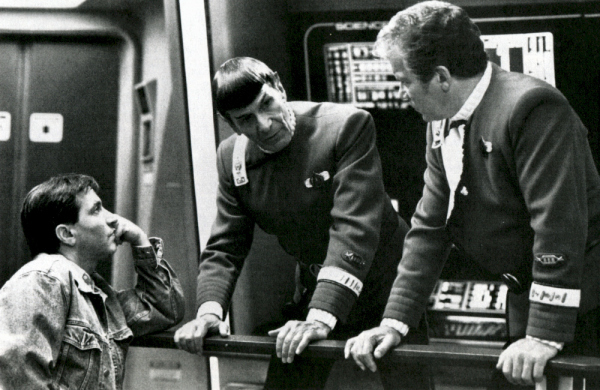 The hiring of Nicholas Meyer was not only beneficial because he knew the franchise and could write fast (having produced The Wrath of Khan‍ '​s screenplay in twelve days), but if he directed the movie then it would offset any acrimony from William Shatner. Shatner had used his so called "favored nations clause" to sit in the director's chair for Star Trek V, and if Nimoy had returned to direct his third Star Trek feature after The Search for Spock and The Voyage Home, then it would be unlikely Shatner would've agreed to participate at all. However, contract negotiations with the Shat, caused largely by Paramount's insistence upon hefty budget cuts, still held up shooting by almost two months, meaning it was February 1991 when the film officially went into production with a need to have the movie released the same year to hit the 25th Anniversary. 6. In George Takei's autobiography he revealed that the original script called for Captain Sulu and the Excelsior crew to discover the Klingon Bird-of-Prey's weakness and use their gaseous anomaly equipment to find it. But William Shatner objected, feeling that Captain Kirk would not need another captain's help and had it drafted into his contract that the scene be rewritten. "If I’m interpreting him correctly and if I’m believing what he said, Mr. Roddenberry really believed in the perfectability of man, of humans, and I have yet to see the evidence for this. So ‘VI’ is a film in which the crew of the Enterprise has all kinds of prejudice, racial prejudice, vis-a-vis the Klingons. And some of their remarks, including how they all look alike and what they smell like, and all the xenophobic things which we grappled with — that was all deeply offensive to him because he thought there isn’t going to be that. In fact, in his original ‘Star Trek’ concept, there wasn’t any conflict. So he always had problems with writers who were trying to write conflict, because that’s what drama is, so he was very distressed with the world of the Enterprise – the kind of ‘music’ I was writing." After viewing a rough cut of the movie two months prior to release, Roddenberry requested audience with Meyer to share his concerns, and the direction the meeting took is something that Meyer still regrets. "His guys were lined up on one side of the room, and my guys were lined up on the other side of the room, and this was not a meeting in which I felt I’d behaved very well, very diplomatically." "I created Saavik. She was not Gene's. If he doesn't like what I plan on doing with her, maybe he should give back the money he's made off my films. Maybe then I'll care what he has to say." Ultimately all of Roddenberry's objections fell upon deaf ears. "There are moments in one’s life where you look back and you say, ‘Well, I wish I had done this differently, I came out of it feeling not very good, and I’ve not felt good about it ever since. He was not well, and maybe there were more tactful ways of dealing with it, because at the end of the day, I was going to go out and make the movie. I didn’t have to take him on. Not my finest hour." 8. It was no surprise that Paramount wanted to reign in the budget after the commercial failure of the previous film. Initially there was an estimate of close to $41 million presented by all parties involved, but there was no way Paramount were prepared to fund that figure. Meyer's original opening, which featured some exotic location shooting, was cut, and new deals were offered to Shatner, Nimoy, and DeForest Kelley, slashing their salaries drastically but on the understanding that they would share in box office profits. Eventually Star Trek VI: The Undiscovered Country, featuring the entire original Enterprise crew, came in at $27 million. The same figure Harve Bennett had quoted for his 'cheaper' Starfleet Academy option. 9. 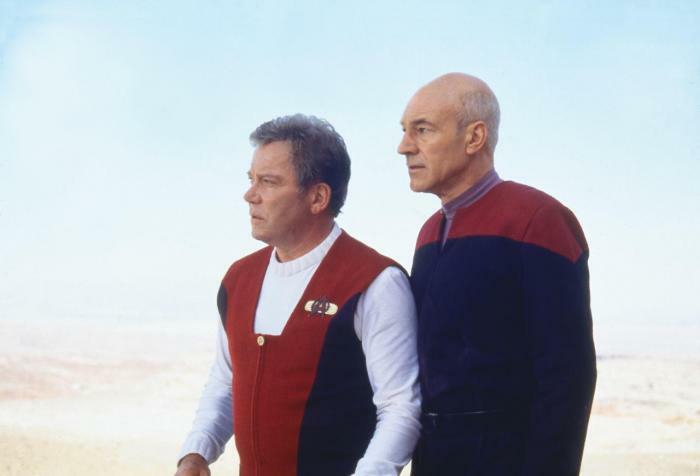 After viewing the finished movie William Shatner expressed how upset he was with Nicholas Meyer for breaking a promise regarding one of his lines. When Kirk says "Let them die" during the scene when he and Spock are talking after the classified briefing, Shatner wanted to say the line and then gesture as if he didn't mean to say it, and he made Meyer promise to show the gesture on camera. However in the final cinematic cut, after Kirk says "Let them die", it cuts to Spock looking surprised, and no sign of a gesture. On Shatner's request the scene was restored for later home video releases. 10. 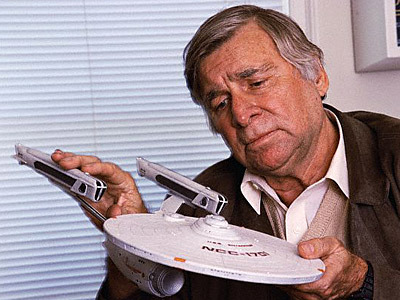 Just two days after that heated exchange between Meyer and Gene Roddenberry, the Star Trek creator died. Despite his concerns over the content, which remained unchanged, Star Trek VI: The Undiscovered Country was dedicated to his memory.